1/19 PBE Update: Panda Annie Unleashed! In the newest rendition of the PBE patch, there's a new Annie Skin afoot after he remake...Panda Annie! Just in line with the release of the Lunar skins on the PBE, this asian themed skin features Annie in a traditional looking outfit along with a giant panda Tibbers by her side. Looks like a winner to me! 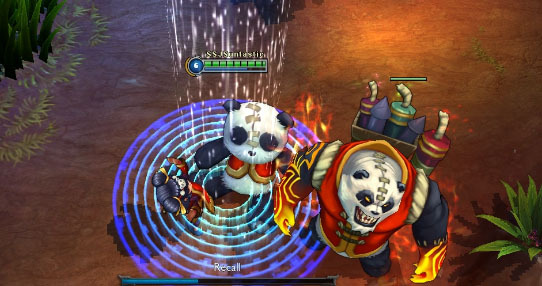 Yes, Panda Annie's Recall Animation is getting its own section because it's just that epic. One strange thing to note though, she doesn't always fall down on landing. All her particles look particularly epic, especially since Annie's base model received the recent overhaul! This skin is the best ! Looks awesome, time to fire up PBE to check it out.